I have spent much of the last two years in the company of a long dead British actor. In other words, I have been engaged in writing the biography of Roger Delgado, best known for originating the character the Master in Doctor Who. He’s been on other people’s minds of late, as January is the anniversary of his first appearance (January 2nd 1971) in the 25 minute-long first episode of Terror of the Autons. He remains topical because of developments to the character he originated. 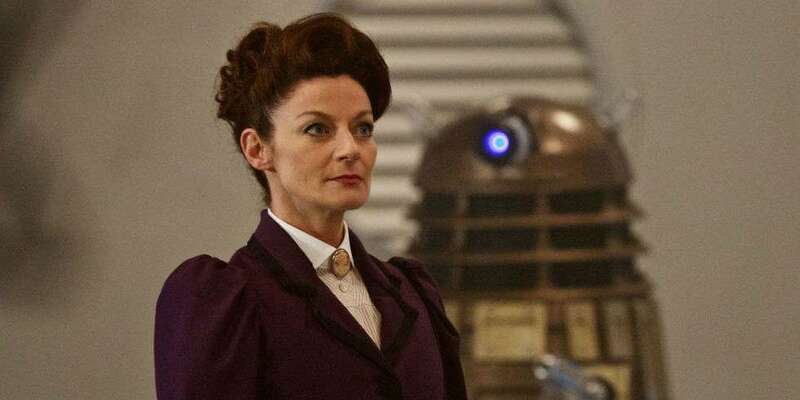 The recent regeneration of the 12th Doctor into the female 13th Doctor played by Jodie Whittaker is a massive game changer that arguably was only possible because of an earlier game changer, when the male character the Master was regenerated into the female Missy played by Michelle Gomez. The reaction first to a female Master and then a female Doctor has been explosive to say the least, and perhaps a valuable reminder that television programs and their characters are not created in a vacuum but are actually parts of a richer landscape of contrasting and complementary shows and viewer expectations. As a result, researching one actor’s life can open up fascinating vistas, especially in following paper trails and the paperwork which reconstructs these wider television landscapes. For me, that was especially so for BBC One’s 1971 Saturday night line-up. What a close knit environment television was. That evening in January 1971 when the Master materialised on British television, the actor David Garth appeared in episode one of Terror of the Autons as the unnamed Time Lord. Later that night he was back on BBC One playing another character in Dixon of Dock Green. While Terror of the Autons is now experienced as a stand-alone item on a DVD, Delgado’s debut was originally part of a wider world, where records of the surrounding broadcasts bring back to life the context for viewing this debut. The ‘Program as Broadcast’ paperwork for the nights from January 2rd onwards and now in the written archives of the BBC meticulously record what happened on screen. The paperwork, banged out of a typewriter, show Delgado’s debut was surrounded by a host of imported and native productions. There was the Saturday Western, which on the afternoon of Part Four of Terror of the Autons was Last of the Badmen, a 1957 western, then Grandstand, then a short trailer pre-recorded on videotape for Cilla Black’s show, and then viewers could see the Doctor fight the Auton’s invasion. Then viewers had Richard Baker read the news followed by Lucille Ball, Liberace, Cliff Richard and Dixon of Dock Green. The Program as Broadcast paperwork is a collection of time codes, references to ‘VTR’ or film, and the alphanumeric sequences used to identify what was shown. But they are also time capsules which give an impression of the world into which Delgado’s Master appeared across 1971. For example, included in the typewritten data for the transmission of Delgado’s second story in Doctor Who, The Mind of Evil, is record of the trailer for the BBC’s broadcast of the Apollo 14 mission, which had launched on January 31st 1971, including the soundtrack of Strauss’s Also Sprach Zarathustra, music already indelibly associated with space since the release of 2001: A Space Odyssey three years earlier. It’s curious that as another season of Doctor Who was underway with the Doctor trapped on Earth because of exile by the Time Lords, the BBC One viewing public were offered footage of space exploration. A little further on in the 1971 season, on the night that The Mind of Evil part six was broadcast, the news was read by the anchorman Kenneth Kendall and included in the data from the Program as Broadcast is ‘Actuality Music on Film (Visual). Members of Women’s Liberation Movement Protest Song 00’22’’. In other words, Kendall was reading out a news story about a protest by the Women’s Liberation Movement and it included a film insert of their protest song. With the introduction of the character Sarah Jane Smith in 1973, Women’s Lib would be brought on screen with her character. For the time being however in 1971 it was part of the same world but not part of the story in Doctor Who. When The Dæmons was broadcast in June 1971, the BBC One line-up was similar. Did viewers who had just seen the Master celebrate a Black Mass in rural England then want to tune into Cilla or Lulu? In 1971 Delgado leaps into the Doctor’s adventures, doing so amongst a mixture of football, Apollo 14, Women’s Lib, Liberace, Cilla Black, Lucille Ball and the BBC News, and that’s just BBC One. The mixture is a bright tapestry. What did viewers who had just enjoyed the football or the scrambling on Grandstand think of the Master? Did the coverage of Apollo 14 complement or compete with the Autons? Did people watching the Master murder his way around the Home Counties stay around to watch Liberace or Cliff Richard? How did ‘my dear Jo’ or ‘my dear Miss Grant’, or Jo spraining her ankle, seem compared to a Women’s Liberation Protest? Season Eight, especially Terror of the Autons, has been called garish and cartoonish. But on BBC One on Saturday nights, the Master, Jo and the Doctor were part of a colourful line-up, and the science fiction mayhem was a brief interlude amongst the sport and the native and American light entertainment, which courtesy of these messy typewritten paperwork gave me a true journey back in time to see how 25 minutes of television is part of something much larger. Dr Marcus Harmes is a senior lecturer at the University of Southern Queensland (Australia). 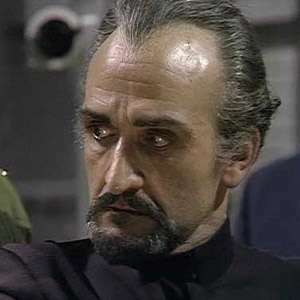 His most recent publication is Roger Delgado: I am usually referred to as the Master (Fantom Publishing, 2017). 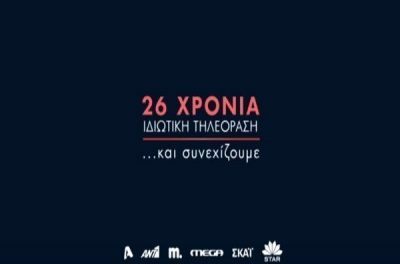 PreviousCfP: 2018 Radical Film Network Conference. July 27-29, 2018 @Dublin (IE). Deadline: Mar 10, 2018.